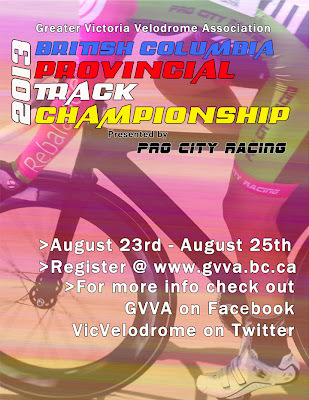 August 23rd, 24th and 25th are the three real-deal racing days at the Victoria Velodrome. The West Shore's bastion of cycling culture is proud to play host to this year's BC Provincial Track Championship. Interested in helping out, but not wanting to race?